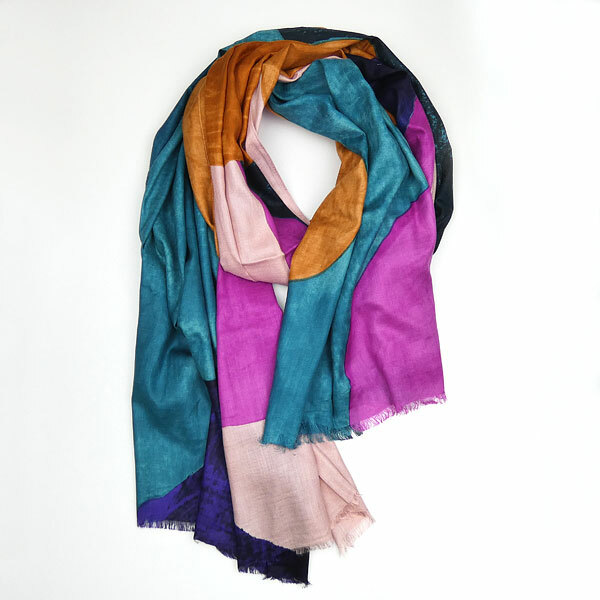 A gorgeous large soft viscose scarf, with a magenta and soft pink, turquoise, orange and dark blue. 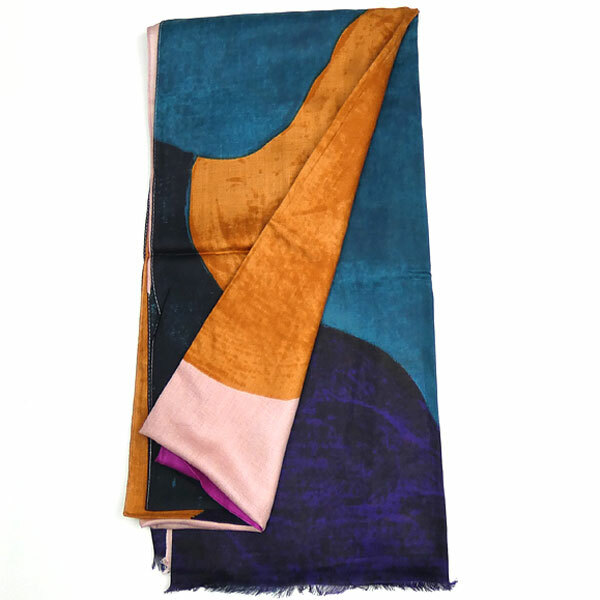 This scarf has an abstract design with blocks of a vibrant magenta pink, turquoise, soft pink, a rich orange and dark blue. This style of scarf is also available in mustard and purple from KIENA JEWELLERY.